Over hydration, water intoxication, water poisoning, they all mean the same thing...drinking too much water. Medically it is called hyponatremia. Drinking too much water in a short time is not only harmful to your health, it could be life threatening. Over Hydration: What Is It? Our bodies work by maintaining a delicate balance of sodium, potassium and other electrolytes while at the same time keeping the water balanced throughout the body as it is needed. When we drink more water than out bodies need in a short time and do not replace the electrolytes, your body is at risk of washing out the electrolytes you do have. The body is very effective at maintaining balance, even if we load up on unhealthy foods (read: processed and junk foods), our bodies will find a way to maintain an equilibrium. 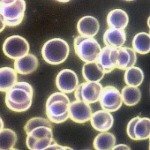 Consider what happened in the documentary ‘Super Size Me.’ The doctor explained that the blood lab results were heading to critical and unless Morgan stopped, it would kill him. Then his body found the balance. Note that it took weeks for this to happen. When we drink water, changes happens much faster. There is no time for the body to correct the balance when too much water is taken in over a short time. When we drink too much water, the electrolytes in the stomach are diluted. As they pass through the gut, further dilution happens in the body at the cellular level. Over hydration is also known as Water Intoxication, hyponatremia, and over-hydration and water poisoning. 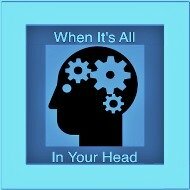 When the electrolytes are pushed out of normal levels too fast, brain functions are ultimately affected. Often the deaths related to over hydration are the result of college hazing. Thinking that water is safer than drinking alcohol to an excess, the inexperienced pay for their mistake, sometimes with their life. They will have someone drink more water than is safe in an effort to have someone prove that they are worthy. Another cause can be athletes who engage in rigorous exercise and although re-hydrating, they fail to replenish electrolytes. It has been recommended in literature that a full size person should not drink more than 32 ounces of water at any given time in a two hour period. The smaller our body size, the less we should drink. Our empty and relaxed stomach is about the size of our clinched fist and wrist. It is about 10 inches in length. Research does not agree on the maximum safe amount that the stomach can be stretched out. We have gone with the minimum or 32 ounces with no food at the same time based on the research of Dr. Batmanghelidj. A second factor in how much water is too much water has to do with food consumption. 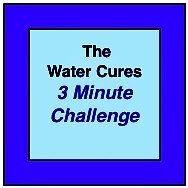 It is best to drink the water 30 min before meals and not sooner than 2 1/2 hours after meals. This way the food we eat will not be diluted. 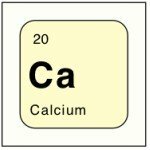 It is interesting to note the medical term for this condition, hyponatremia. 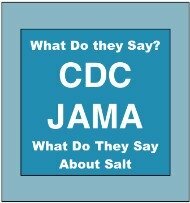 Constantly we hear the medical talking heads say that we should not eat too much salt. While we agree with this when it comes to table salt, the same is not true of unprocessed salt with over 80 minerals. The latter has vital minerals needed for optimal health. 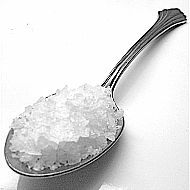 Research has even shown that low salt diets are dangerous. They can increase your risk of heart disease and death. Many times over, the salt studies have been debunked and proved to be biased. Yet we keep hearing that salt is bad. The reality, it is profitable to promote the low salt diet. There are those who should not and cannot eat much salt. Those with limitations are noted on the protocol page. 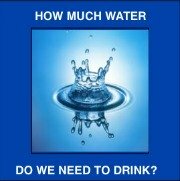 For the rest of us, a second question to ask, why does the medical establishment not suggest we drink more water. 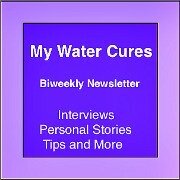 We need both salt and water for optimal health.